People who think that they need to use toxic chemicals in order to repel insects are wrong. It is possible to make pest control work even with chemicals that humans actively like. Many of the scents that humans enjoy are actually in place in order to protect the original plants from insects in the wild. Some of these chemicals act as natural pest control. These chemicals are often toxic to bugs but not to humans because humans are so much larger. There is no reason to choose chemicals that are toxic to humans and bugs when it is possible to use chemicals that are truly only toxic to the right group. Using almost anything that contains citronella can work to repel flies and a lot of other pests. Some people will burn citronella candles in their homes. Other people will take citronella oil and soak towels in it. There are also citronella sprays that will quickly and easily fill the entire house with the scent, which is something that most people will like and that most bugs will hate. Using peppermint oil is popular these days. People will use it to treat everything from skin problems to depression. It can also be extremely useful in pest control. Most pests cannot stand the smell of peppermint oil, even though a lot of humans love it. It's also toxic to many insects. Leaving traces of it around the house, particularly in 'hot spots' that tend to attract a lot of pests, can kill some pests and cause others to leave. This is another great essential oil that will work well in the fight against pests. Most people will love the pleasing scent of tea tree oil, which is similar to pine. Tea tree oil can be applied directly to certain household surfaces. Soaking a rag in tea tree oil will also create a potent scent that will tend to repel pests. The scent of vanilla extract can be used to ward off mosquitoes and quite a lot of other pests. Some people will use vanilla extract as something of a topical pest control repellent since it is possible to put vanilla extract safely on a person's skin without any issues. It is also possible to put vanilla extract on household surfaces without damaging them. The strong odor of vanilla extract around the house will repel insects, but it will be pleasing to humans. A lot of insects truly dislike the smell of garlic. People who eat garlic on a regular basis will actually be less likely to get bitten by mosquitoes since the smell of the garlic will become more obvious as people perspire. Leaving out some garlic cloves around the house can be helpful in a similar way. 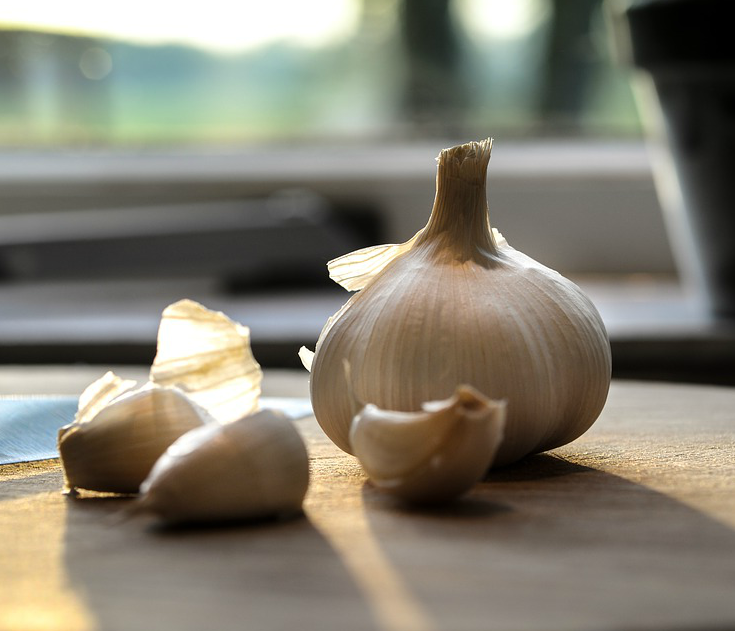 Fresh garlic cloves typically have an odor that will seem minor to humans but much more extreme to the insects that people are trying to repel. People who place fabric softener sheets around their homes will find that the pest population will become less aggressive very quickly. Many brands of fabric softener in the modern world contain the compound linalool, which has an odor that mosquitoes and a lot of flying insects despise. If people want to avoid using fresh fabric softener sheets for this purpose, the used ones should still work relatively well. The linalool might still be present even if the fabric softener sheet has been used. This setup allows people to reuse fabric softener sheets rather than throwing them out while also allowing them to get rid of pests effectively. Many people have used eucalyptus as a healing remedy. It is certainly hugely useful when it comes to pest control. Soaking a small towel with the eucalyptus oil and then placing it in an area that tends to attract a lot of pests will make a huge difference very quickly in a lot of cases. People don't always need to use herbal remedies for the sake of pest control. In some cases, people will be able to use detergent in order to get rid of bugs. Diluted detergent will work well as a spray. People just need to spray this diluted detergent in any area that is full of flies and bugs, and they will begin to disappear. Plenty of the scents that will repel insects will have a tendency to have some positive side effects around the house. A lot of people will like these scents, and a house will seem cleaner as a result. These pest control projects will also give a lot of people the chance to use old fabric softener sheets and detergent. Pest control can and should be safe for humans. These household items are truly only harmful to insects.